Watch full Naruto Shippuden Season 20 Episode 28 English Dubbed full HD online. 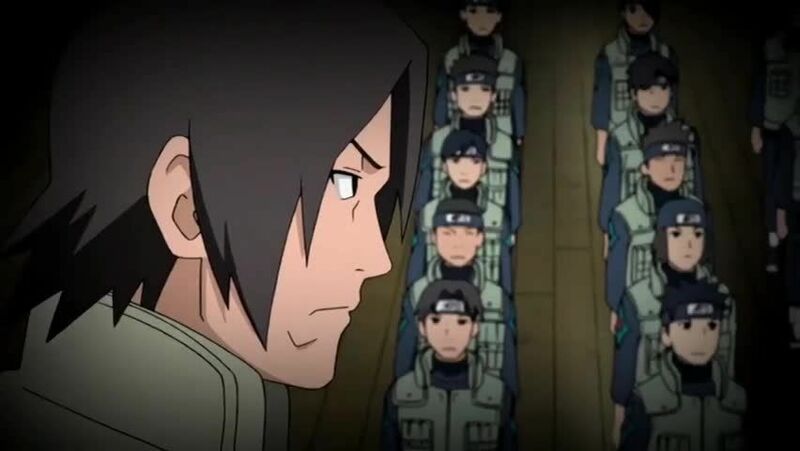 Naruto Shippuden Episode 441 English Dubbed online for free in HD. In the morning, Tsunade complains about the bad ending to Jiraiya’s novel. Shizune brings her breakfast. Tsunade begins reading the second volume of Jiraiya’s novel. In it, the four Konoha genin teams report to Minato. Despite having disobeyed direct orders, doing so resulted in the mission’s success, so there are no repercussions. They discuss this among themselves. In the hospital, Jiraiya recovers from the injuries inflicted by Naruto when the Nine-Tails’ chakra took over. He recounts finding Orochimaru, and discovering evidence linking him to the latest incident. Fugaku berates Sasuke for failing to stop his teammates from breaking the rules. Itachi arrives to deliver a report to Fugaku, so Sasuke leaves. At Yakiniku Q, the other genin discuss the explosion at the other village. Itachi and Sasuke discuss their father, and the recent negotiations between the Uchiha and the village. Sasuke requests Kakashi to teach him a new jutsu, so Kakashi begins teaching him the Chidori. Itachi learns from Minato he intends to keep his promises to the Uchiha clan. Sasuke witnesses Naruto being taught the Giant Rasengan by Minato. Fugaku dismisses Sasuke and is unimpressed by his training. Sasuke learns the Chidori, but knowing that Naruto is expanding his Rasengan, he asks Kakashi how much further he can take the Chidori.